Flow Science, makers of the FLOW-3D CFD solver, announced a new product, MassFLOW-3D, “for the simulation of sediment gravity flows as mechanisms for the formation of hydrocarbon reservoirs in deep marine environments.” MassFLOW-3D was developed by Norway’s Complex Flow Design using FLOW-3D as the basis for the simulations. 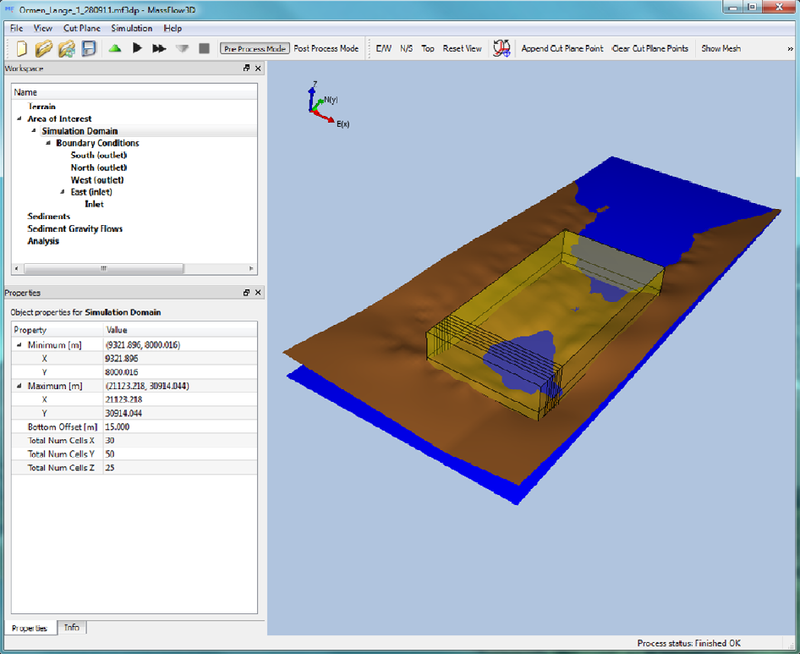 MassFLOW-3D has a user interface customized for the needs of geophysicists. Flow streamlines over a membrane as computed by Caedium. Symscape continues their previews of the upcoming Caedium v4 with a demonstration of how Caedium’s CFD results can be coupled with structural analysis in ixForten 4000. This particular application involves computation of wind loads on a membrane and use of those loads to perform non-linear FEA for the membrane’s displacement. Rheolef, the open source C++ environment for finite element methods, has been updated to version 6.0. The International Conference on Violent Flows [love the name] will be held 25-27 September 2012 in Nantes, France. When designing a submersible vehicle that has to fit (for transport) inside a standard shipping container, you don’t have much room for batteries to power the vehicle. Using Autodesk’s CFdesign software, the sub’s top speed could be computed. Working with Intel’s new Xeon E5-2600 processor, ANSYS’ 50:50:50 project (50 vehicle variations, each with a 50 million cell grid, with answers needed in 50 hours) realized a 48% improvement in turnaround. We all know that oil and water don’t mix, but did you know that water floats on oil? 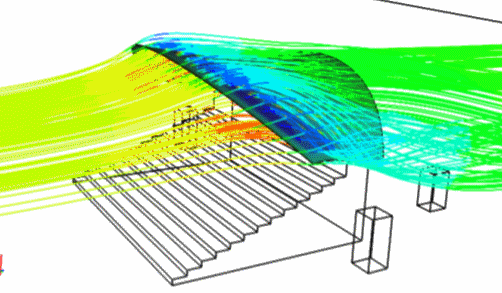 The new Learn CFD Blog promises to provide a variety of resources for learning about CFD. A recent post includes an 11-part set of lecture notes (PDF format) from the Dortmund University of Technology on FEM for CFD. While on the subject of learning CFD, I hope everyone is watching the series of CFD lectures from Boston’s University’s ME 702 course. I think the lastest is Lecture 27 on the finite volume method. This collection of photographs of water in various splendiforous states and phases and colors and motion demonstrates one of the reasons why we all do CFD. This entry was posted in Applications, Events, News, Software and tagged ANSYS, Caedium, CFdesign, Flow Science, FLOW-3D, Intel, MassFLOW-3D, Rheolef, Symscape. Bookmark the permalink. I’ve collected a series of events the transport phenomena community will be being part of. Check it out on my blog (http://marcolovatto.blogspot.com), it’s the third gadget on the left column, named “Eventos” = “Events”. 5 of them are just in Brazil, and they are cited on my last post. Thanks, Marco. I’ll take a look. Prof Barba’s online lectures are great! Mihai: I think so too.